Left: Tights from target. black leather boots from Cavendars, Spencer shirt from TJ Maxx, denim shorts from Forever 21, Chanel bag from Chanel. 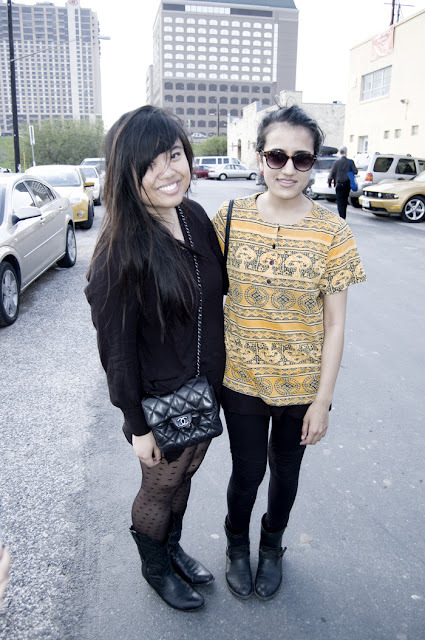 Right: Printed shirt is vintage, tank from H&M, leggings from EXPRESS, sunglasses from H&M, boots are vintage.